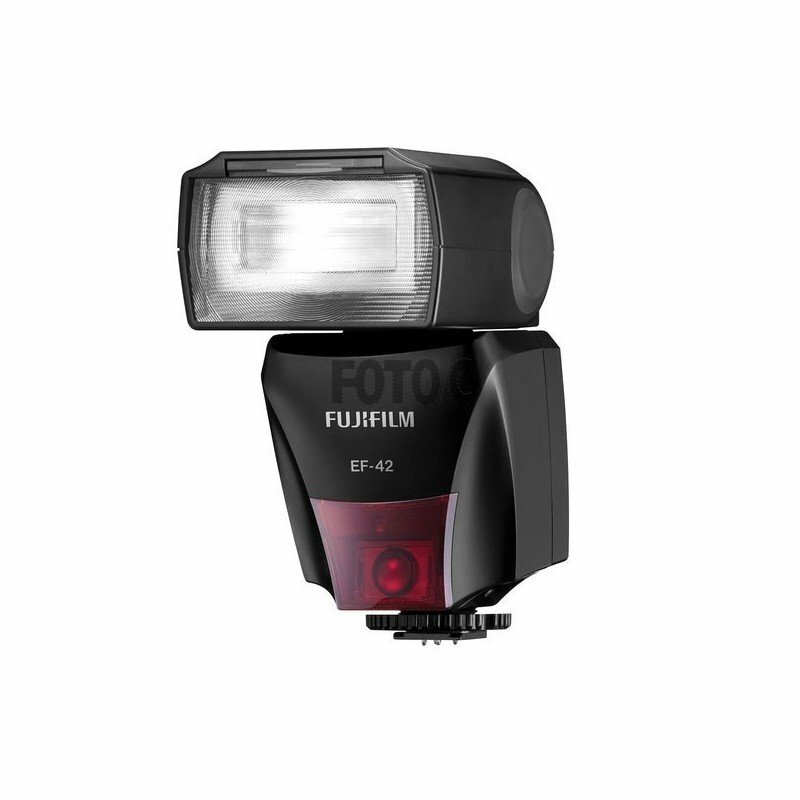 Powerful and versatile, the Fujifilm EF-42 flashgun matches up with the cameras to provide complete TTL performance. For precise lighting, the flash can be moved 90° upward, 180° to the left and 120° to the right, flexibly supporting bounce shooting and other operations. Allowing reference by different values, the focal length display can be switched between the digital display and the 35 mm film size converted display on the LCD while the wide range of functions and user-friendly controls make the EF-42 easy to use. The guide number of 24 to 42 changes automatically to the lens focal length while the flash will also zoom automatically between 24 mm and 105 mm. Allowing full manual control, the EV can be adjusted in 7 steps while the power ratio can be adjusted in 7 steps. When shooting in the dark or dimly lit places, the near infrared assist light is automatically illuminated to enable automatic focusing.